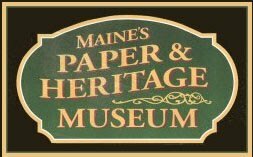 Maine’s Paper and Heritage Museum was established in 2002 by a group of citizens eager to preserve the cultural history of the paper industry in Maine. This museum was created to provide a fun and “interactive museum where visitors can experience life in a paper-making community”. They hope this museum will increase tourism and boost the local economy. This website contains historical photos, photos of the museum and a short film about the paper industry and the communities along the Androscoggin River.